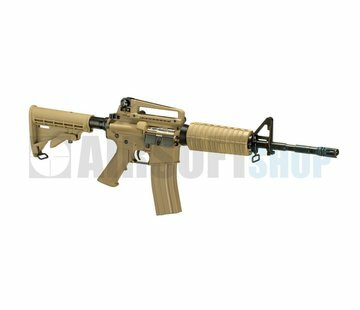 G&G CM16 Raider L 2.0E (Desert). 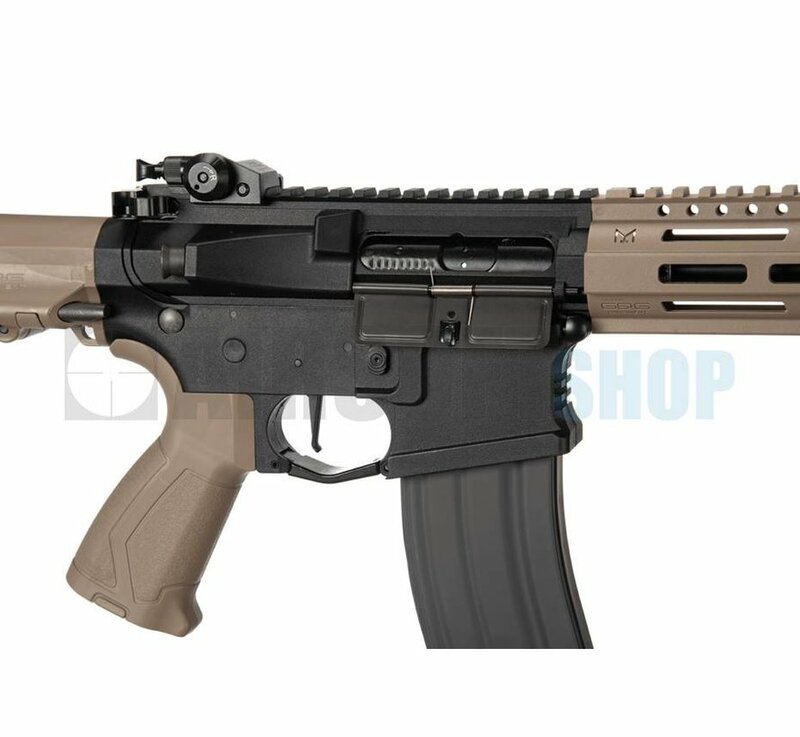 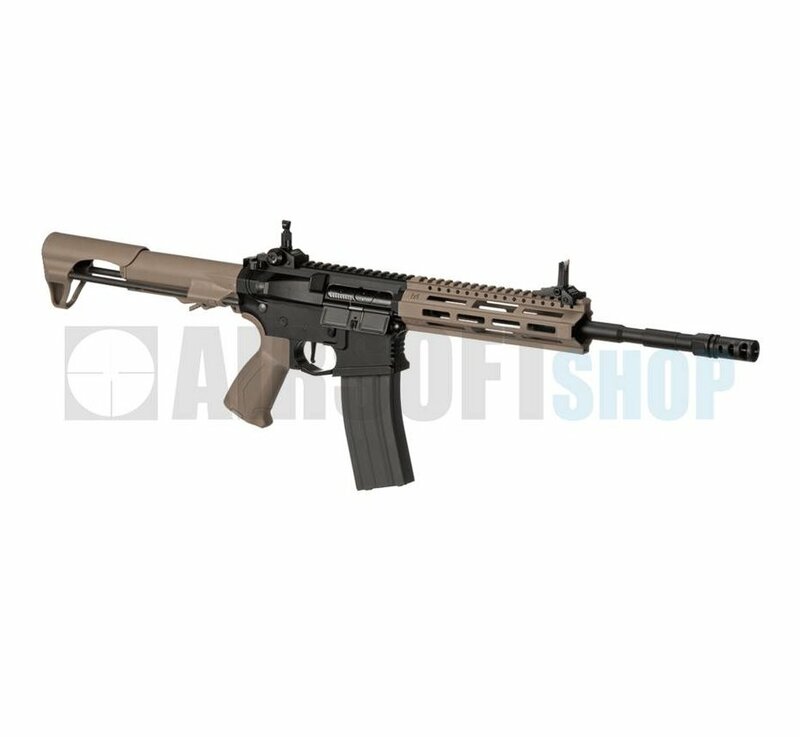 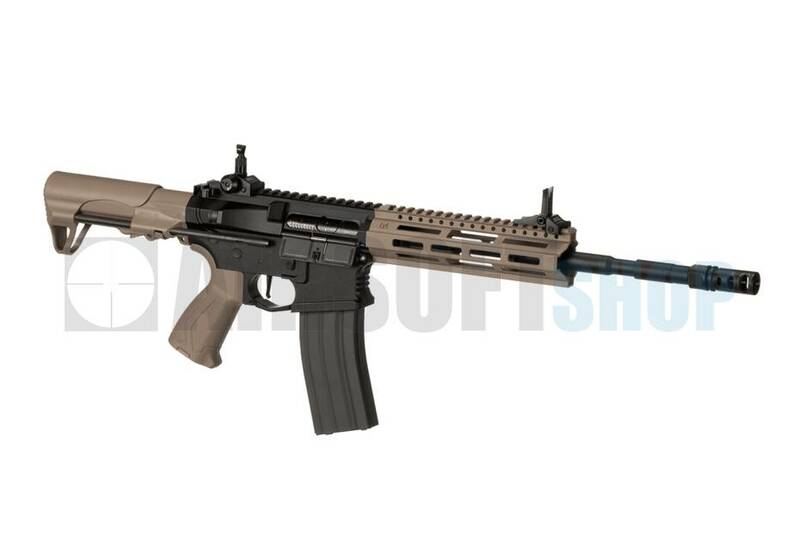 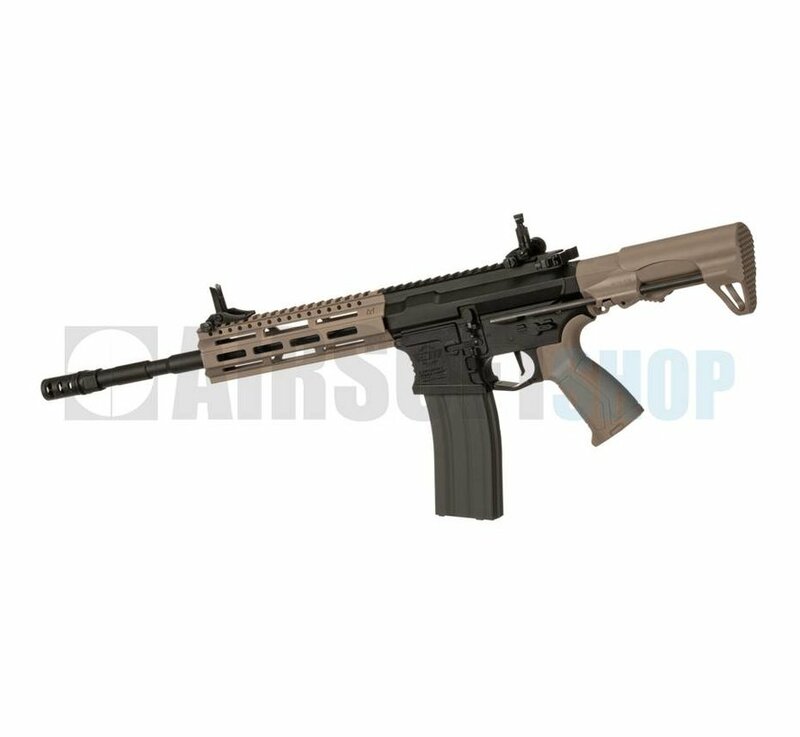 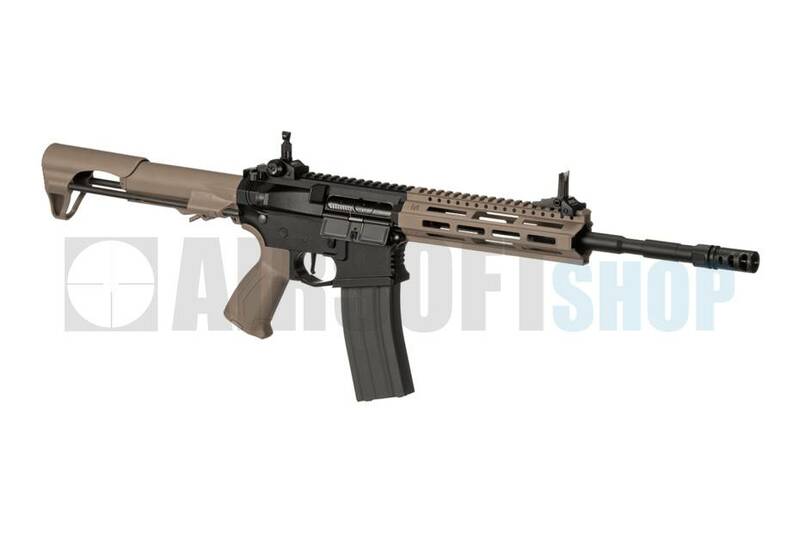 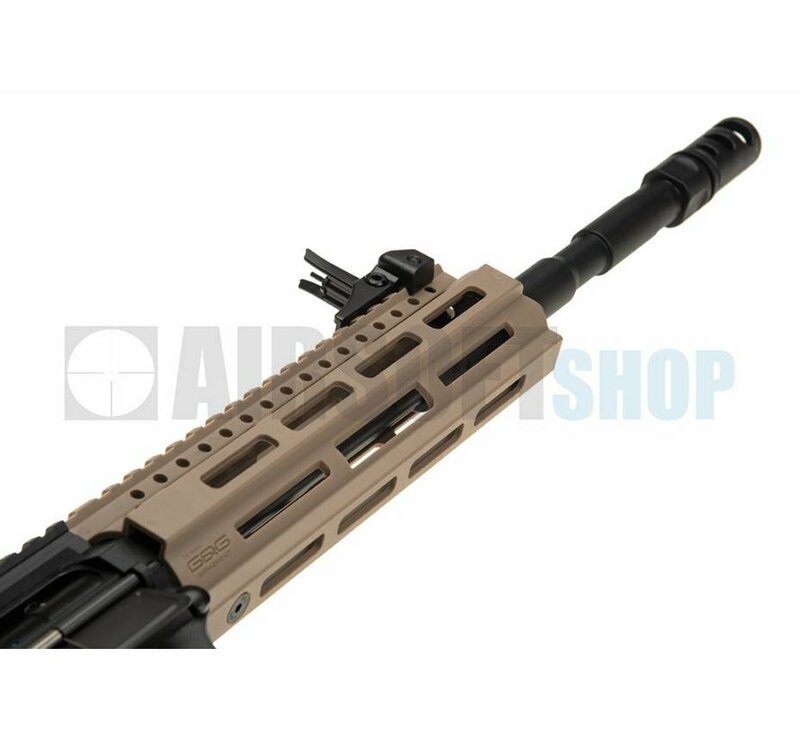 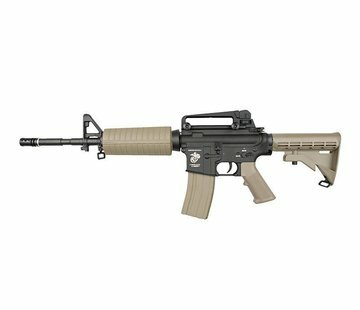 The G&G Combat Machine CM16 Raider L 2.0E AEG Airsoft Gun offers a unique design to the combat machine series AEGs. 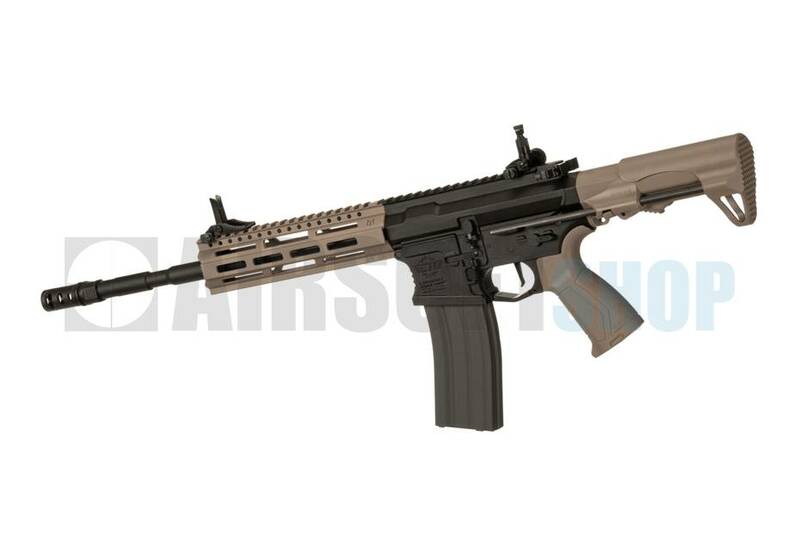 It has an adjustable PDW style stock to make it a little longer when necessary. 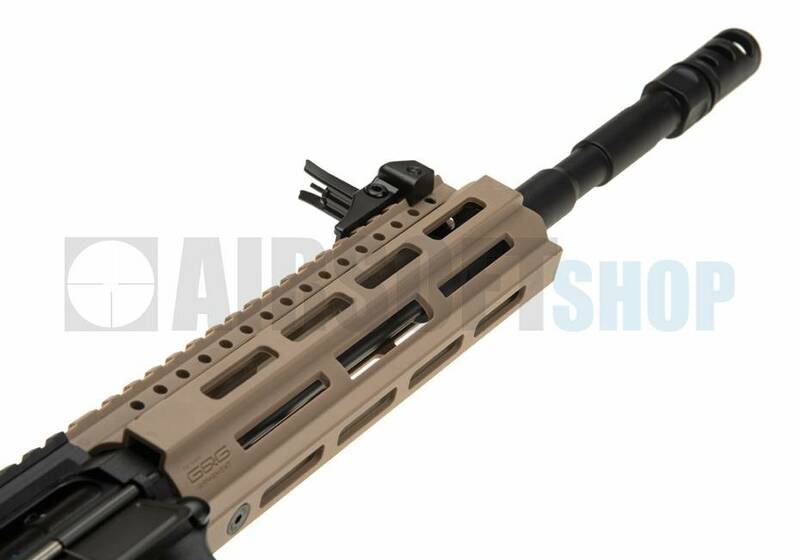 Under the stock is the battery compartment which has enough room for a small stick type 7.4 or 11.1v LiPo battery. 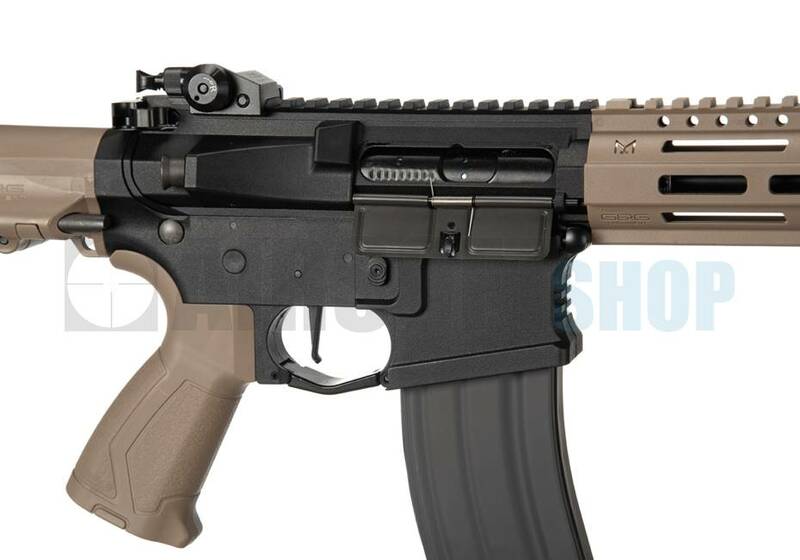 Inside this AEG is a pre-installed MOSFET which can be programmed to allow the gun to shoot a 3-round burst. 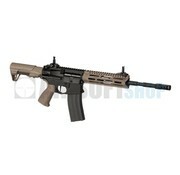 It comes with a 450 round magazine.